Halosperm® G2 measures DNA fragmentation in a fast, easy way, similar to Halosperm, but also partially eliminates the bad odour generated by the lysis. 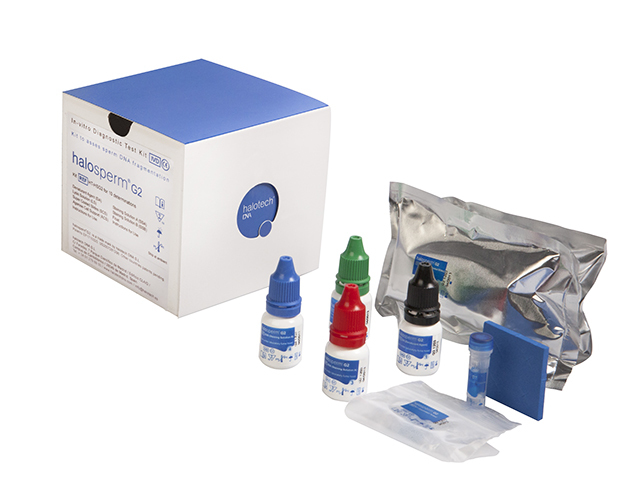 By using a few drops, the test will offer the same result as the Halosperm® test, maintaining its simplicity and ease of use. Halosperm® G2 also includes staining solutions for bright field microscopy.